Miniature Cannon Technologies LLC., based in Venice Florida, specializes in designing and manufacturing scaled, fully functional artillery. Our products include dozens of different production models as well as custom builds for both individual consumers and retailers. Mini Cannon Tech's miniature cannons are the real deal. Our mini cannons are built to fire with real gun powder and cannon balls. These mini cannons, though small, are extremely powerful! Every mini cannon is hand built and hand finished, making our models the highest quality and most authentic mini cannons available. In fact, we are the premier manufacturer of model artillery in the United States. Mini Cannon Tech has built the reputation of building some of the highest quality and most authentic mini cannons in the world and has become an industry leader of working scaled artillery. Why choose Mini Cannon Tech? Unlike other brands, our mini cannons are built with the correct materials and are designed to look and function just like the real, full size, historic cannons. To make a true mini cannon, the materials and design matter. You won't ever find molded plastic or cheap anodized aluminum frames on our cannons. All MCT models are miniature versions of full size, battle proven, artillery pieces from the American Civil War and Revolutionary era. Our cannon barrels are precision CNC machined from solid bar stock in either brass, bronze, or stainless steel. Carriages are made from real wood just like the originals and bolted together with steel hardware. Every wood part is laser cut, hand sanded and painted to match the original, historic colors. We offer a ton of different varieties and upgrades to our standard models and we can even custom make a mini cannon to your specifications. Whether you proudly display your cannon on your desk at the office or go target shooting every weekend, Mini Cannon Tech model cannons are built to last a lifetime. Every cannon ships with a ramrod and a set of detailed firing instructions and maintenance tips. Note: Miniature cannons are NOT firearms under federal law (in USA). Our products are NOT weapons and are not sold as such! Miniature Cannon Technologies LLC., based in Venice Florida, specializes in designing and manufacturing scaled, fully functional artillery. Our products include dozens of different production models as well as custom builds for both individual consumers and retailers. 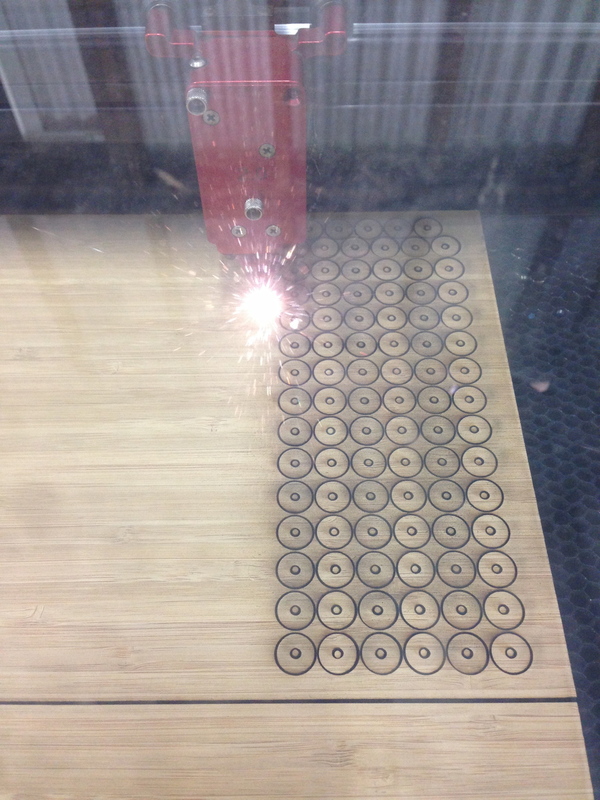 All MCT products are made in the U.S.A. using modern CNC machining and high precision laser cutting technology. 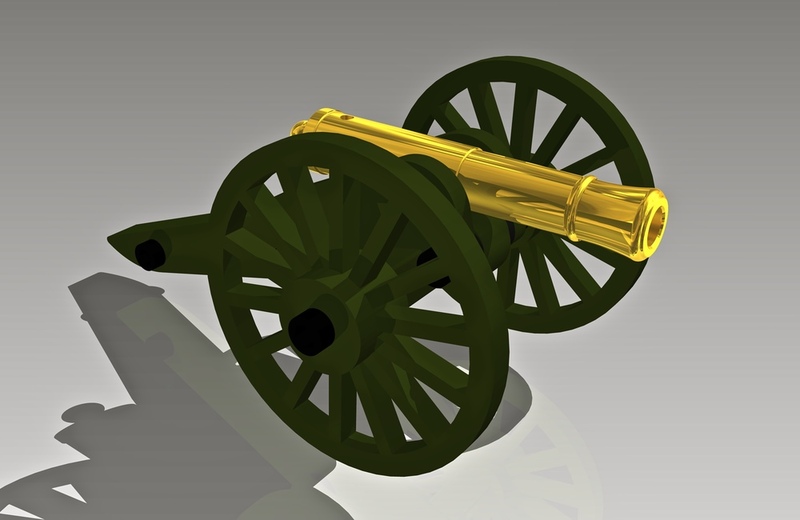 All of our models are scaled down from real ordnance(artillery) used during the Civil War and Revolutionary war era, making MCT the producer of the smallest, shootable, and most realistic Civil War cannons on the market. Miniature Cannon Technologies has built the reputation of making some of the highest quality and most authentic "mini cannons" in the world. All of the designing, testing, assembly, and finishing work is carried out at our facility in Venice Florida. We partnered with one of the best and well respected CNC machining companies in the United States to help fabricate our cannon barrels. The quality of our products is unmatched by any other. 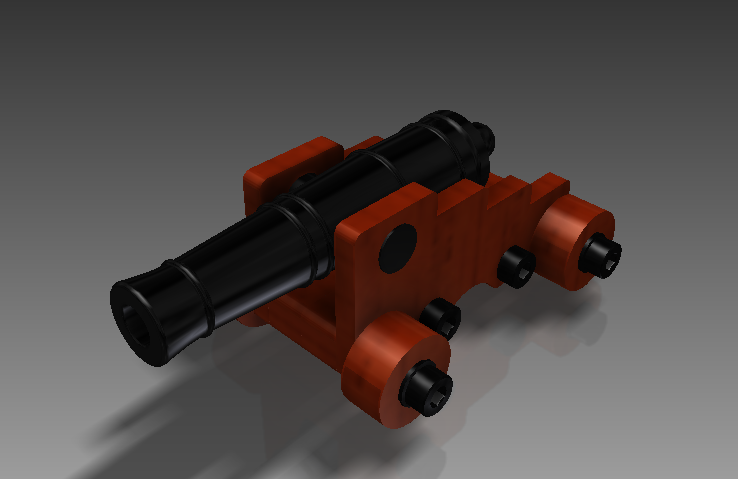 All of our mini cannon designs are proprietary to Mini Cannon Tech and are not for sale. Ordering information: Because of the hundreds of variations of mini cannons available (carriages colors, hardware type, etc.) each cannon is made to order, one at a time. After we receive your order, please allow 3-5 days for your cannon(s) to be built and prepared for shipment. We accept all major credit/debit cards and paypal on our retail store website. General product information: Mini cannons are generally considered antique muzzle-loading replicas in the United States, which means they are NOT classified as firearms. Our mini cannons are NOT weapons and are not sold as such. All of our products are sold as novelty items. Although mini cannons are small, they are not toys and can be very powerful. To fire, use only black powder or black powder substitute (3F or 4F granulation depending on model). Each mini cannon comes with detailed instructions and a ramrod. Read through the included instructions and fully understand them before attempting to fire. If you have any questions about our products or materials needed to fire your mini cannon, refer to our FAQ Page or send us an email on the Contact Us Page. Shipping Information: Orders shipped via USPS Priority Mail usually arrive 2-5 business days after the package is handed over to USPS (continental US). Orders containing Powder Propellant and/or fuse MUST be shipped USPS ground (transit time usually 5-7 business days). It is the buyers responsibility to determine the legality of shipment and usage. Warranty information: Repairs and replacement parts are handled on a case by case basis. If any of your items are damaged or missing when they arrive, please let us know as soon as possible. Return Policy: We can accept returns within 30 days of shipment if and only if the cannon or kit is unfired, in perfect condition, and in its original box when it arrives back to us. Returns are subject to a 15% restocking fee. Shipping costs are nonrefundable. Returns will be handled on a case by case basis. Honestly, it is very rare that our mini cannons are returned. We hope you take this as a testament to our quality and customer satisfaction. We offer discounts to all veterans, current military, law enforcement, first responders, and their families. Send a copy of your military ID or other documentation to minicannontech@gmail.com and we will respond to you with a coupon code to use on our online store or you can still order over the phone. Get the most recent updates for new products and products in the works by liking our Facebook page! All MCT mini cannons are covered by our lifetime warranty! Warranty fully covers carriage damage, and barrel finishes. Barrel/trunnion damage is covered if repair is possible without replacement (at our discretion). Warranty does not cover loss, or structural damage to barrels caused by misuse. Ordering information: Each cannon is made to order, one at a time. After we receive your order, please allow 3-5 days for your cannon(s) to be built and prepared for shipment. We accept all major credit/debit cards and paypal on our retail store website. General product information: Mini cannons are generally considered antique muzzle-loading replicas in the United States, which means they are NOT classified as firearms. Our mini cannons are NOT weapons and are not sold as such. Purchaser must be 18 years of age. All of our products are sold as novelty items. Although mini cannons are small, they are not toys and can be very powerful. Each mini cannon comes with detailed instructions and a ramrod. Read through the included instructions and fully understand each step before attempting to fire. If you have any questions about our products or materials needed to fire your mini cannon, refer to our FAQ Page or send us an email on the Contact Us Page. Return Policy: Domestic orders only. We can accept returns within 30 days of shipment if and only if the cannon or kit is unfired, in perfect condition, and in its original box when it arrives back to us. Returns are subject to a 15% restocking fee. Shipping costs are nonrefundable. Returns will be handled on a case by case basis. It is very rare that our mini cannons are returned. We hope you take this as a testament to our quality and customer satisfaction. Copyright © Miniature Cannon Technologies LLC.